Evelyn Lyn Visher, TV host, yoga trainer, and singer, well known to most as host of the weekly lottery, will present her new CD at the Favoriten music days in 2018. As is our tradition, we will open today's season at the Volkspark Laaerberg featuring the young talents of the music schools Favoriten and Hanssonzentrum. With high enthusiasm and deep dedication, the ukulele ensembles and the ukulele ensemble Odeon will perform yet another spectacular program. The four enthusiastic musicians revive and interpret older pieces in their own, unique style. They refrain, however, from employing any technological means, relying strongly on their traditional musical skills. In their current program '80er Perlen' ('Gems of the 80s'), the band deals with the style of music that shaped their generation. Among others, they perform songs by Madonna, Münchner Freiheit, Cameo, Billy Ocean, or Don Henley, drummer of the Eagles. 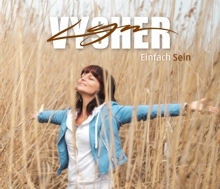 Lyn Vysher, TV host, yoga trainer, singer and well-known to most from hosting the weekly lottery show, not only presents the event, but also several titles from her second album 'EINFACH SEIN' ('JUST BE'), which was released this fall. 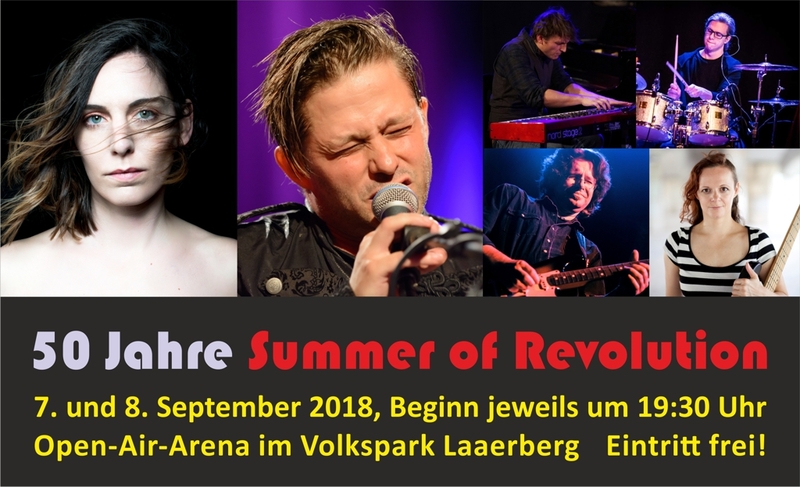 The audience will enjoy songs such as 'Wieder Dadada' ('Dadada Again'), 'Dinge Sind' ('Things Are'), or 'Umarm Dich Mal' ('Hug Yourself Once in a While'). The songs reflect the profound, yet lighthearted sound of German pop music, using texts and themes based on Lyn's life experience. In her new cabaret program 'Habt Acht! Das Neue' (roughly: 'Attention/Watch Out! What's New'), Kati takes her audience on a trip through her life as... well... a bad person?! It was during her acting studies in Vienna when Kati Krüger discovered her love of cabaret. She has been working as a solo cabaret artist since 2013 and has even performed her program on the stage of the Quatsch Comedy Club in Berlin. She currently works as a writer for German television where she performs in front of the camera, as well. Kati lives and works in Cologne. Meidling3 thus considers as austropop the music of the 70s and 80s, the music they grew up with and whose performers influence their work until this very day – a music that hasn't lost its timeless significance even in our times. Wherever Viennese dialect mixes with English lyrics, whenever the accordion encounters the electric guitar, the members of meidling3 feel right at home. Meidling3 was founded in 2007 – in Meidling, Vienna, of course – by Thomas Hahn (lead vocal & percussion), Chris Cermak (keyboard & backing vocal), and Michi Cermak (guitar & backing vocal), all of whom look back at a long career which started at the end of the 1980s and which saw them performing in diverse ensembles. In 2011, Harald Mandler (guitar & bass) joined the band as a permanent member. Mandler, just as the rest of the founding members, is, of course, a Meidling native! As early as 2013, meidling3 enthralled the audience of the Favoritener Kultursommer (Cultural Summer of Favoriten). This year, the entire band will be expanded by drums and saxophone.